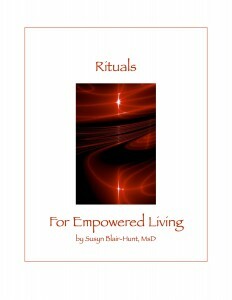 Order your “Rituals for Empowered Living” E-book today! Or CLICK HERE AND LEARN HOW TO GET YOUR COPY OF "RITUALS FOR EMPOWERED LIVING" e-book ABSOLUTELY FREE! This complete collection of Love, Manifestation and Spiritual Protection Rituals are designed to empower your life. Gathered together from my years of reading and enlightening people, these rituals are designed to activate your heart, open your mind and raise your spiritual vibrations, offering specific instructions on how to bring your dreams to life! The Love rituals are designed to help you focus on bringing true and enduring love into your life. Use these methods to open your heart and the heart of another or access Spirit's help to draw the perfect partner and soul mate into your life! Learn how to connect with loved ones from the other side, or draw a past love back into your world. This section also includes how to break the ties with an ex who is interfering with your ability to move forward on your quest for love. The Manifestation rituals focus on bringing your dreams into reality and teach you how to create the perfect atmosphere to attract love, money, health and spiritual abundance into your life. The Spiritual Protection rituals will teach you how to protect yourself and loved ones, and how to create a shield of light and prosperity around you. You will also learn how to cleanse your house of negative energy, "freeze" people or situations that are causing you difficulty, as well as a quick mini-spell to alleviate tiredness or overwhelm and restore your energy in an instant! Three bonus rituals are included in this special E-book edition! Order your copy of Rituals for Empowered Living today! Your e-book will be sent within 24 hours of request.